DPW won’t say what’s holding up a study that has the potential to make streets safer. 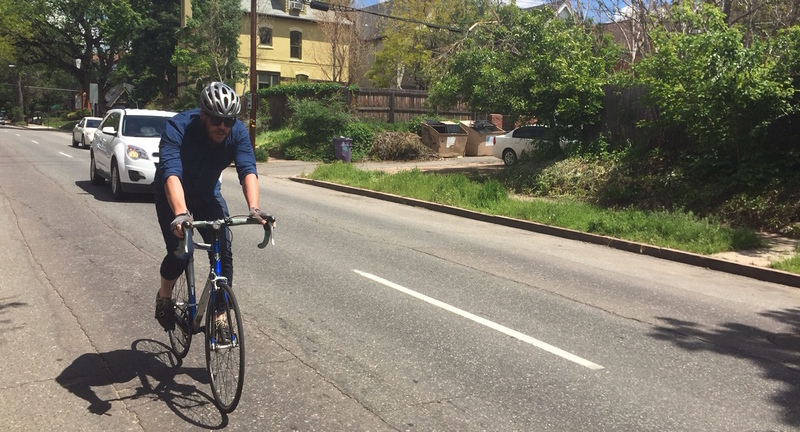 It’s been about a month since Streetsblog Denver questioned the whereabouts of the Department of Public Works’ bike crash analysis. The study of where cyclists get hurt and what contributes to crashes was due out in April, but still hasn’t seen daylight. Since then we’ve learned that the Denver Police Department has been using it to guide their work — yet DPW says the study is not complete. Police Sgt. Grady Carter told the Mayor’s Bicycle Advisory Committee last week that “we are aware of the document and the traffic bureau has been letting it guide their traffic operations.” MBAC includes bicycle experts and advocates from all corners of Denver who make recommendations to elected officials on bike-related projects. Grady is a bike cop and DPD’s liaison to the group. In March, DPW showed a few top-level numbers from the report. For example, 26 percent of crashes — the most of any type — were broadside (“T-bone”) collisions at intersections. I asked Wes Marshall, a civil engineering professor with CU Denver, how useful that level of detail will be for saving lives. He called it a step in the right direction, but said these numbers lack depth. The number of crashes at a given intersection, for example, would be more useful if we also knew how many bike riders frequent that intersection. Though the high-level stuff was interesting, the deeper data presumably in the full report is necessary to guide policy and design that make streets safer. Apparently, police are already referring to it, but without public access to the report, there’s no way to assess how city agencies are interpreting it and putting it to use. Any ETA on the report?